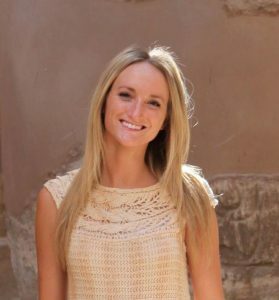 Carly Boos, Program Assistant, graduated from the University of Colorado, Boulder, with a BA in International Affairs. She also studied at the American University in Cairo for one year, where she completed the intensive Arabic language program at the Arabic Language Institute. Prior to joining PTV she interned with the International Rescue Committee, and is thrilled to be at PTV to continue her commitment to refugee services, human rights, and social justice.